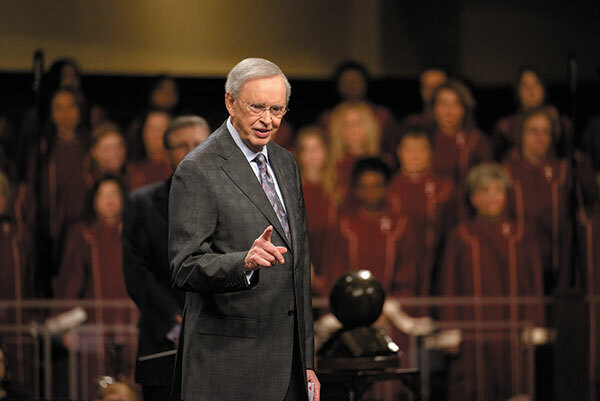 Dr. Charles Stanley is one of today’s most-beloved Bible teachers. For years, readers and listeners have tapped into his honest yet gentle direction, which he bases solely on the Word of God he loves so much. His words of encouragement and challenge have touched lives for a more than a generation through his preaching ministry at First Baptist Church Atlanta, where he has been senior pastor since 1971, and through In Touch Ministries. In Touch radio and television programs can be heard or seen in every nation of the world. Stanley’s books—via multiple publishers and numbering close to 50—range from The Blessings of Brokenness: Why God Allows Us to Go Through Hard Times (Zondervan) to God Has a Plan for Your Life: The Discovery that Makes All the Difference (Thomas Nelson), from I Lift Up My Soul: Devotions to Start Your Day With God (Thomas Nelson) to Prayer: The Ultimate Conversation (Howard Books). Waiting on God: Strength for Today and Hope for Tomorrow (Howard) comes out this month with an expected first printing of around 100,000 copies. “Dr. Stanley addresses a topic that many Christians struggle with—understanding God’s will, being patient while we wait and trusting that God is active in our lives,” said Philis Boultinghouse, senior editor at Howard. Long sees Christian retailers as significant in Stanley’s outreach. Retailers have long been familiar with Stanley’s work. The idea for Waiting on God came from Stanley’s own questions and study. “I was thinking of all the principles I’d studied in Scripture—how we know Christ, obey Him, pray to Him and accept adversity as His tool for refinement of our character—and my thoughts kept coming back to how crucial it is, and challenging it is, to wait on the Father,” he said. Stanley lives by the principle that God works on behalf of those who wait for Him. Each chapter ends with a prayer and “Points for Active Waiting,” which give readers things to do while they wait such as scriptures to read and guidance for journaling about where they are in the waiting process. At the end of each chapter, there are also two to three pages for recording prayer requests and answered prayers, key lessons God is teaching and insights on waiting for God to act. Stanley is well-known for other projects, too. The Charles F. Stanley Life Principles Bible (Thomas Nelson) has sold more than a half-million copies in its several editions. His 30 life principles, gained from 50 years of ministry, are the foundation of the study Bible. Christian retail also helps with sales. Thomas Nelson will release a large-print edition of Stanley’s Bible in 2015. Thomas Nelson released in November Every Day in His Presence, a 365-day devotional that features a leathersoft cover, unique size and moderate pricing ($19.99). “Every Day in His Presence is receiving featured placement in both secular and Christian accounts,” Aulisio said. DaySpring also has tapped into the pastor’s legacy with its God’s Way DayBrightener perpetual calendar. The company has sold over 100,000 units since 2005, with the title one of the company’s best repeat-sale products. The new Charles Stanley I Lift Up My Soul DayBrightener calendar ships to stores in early 2015. Stanley acknowledges that Christian retailers are hurting but that, despite the obstacles, they continue to serve. He encourages retailers not to give up, but to keep trusting and serving.